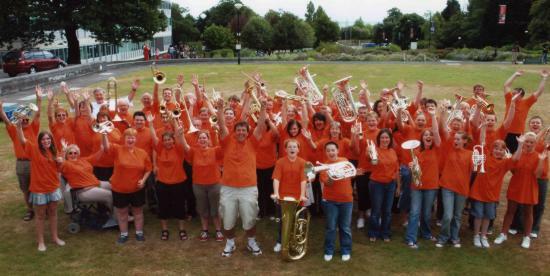 Schreiber & Keilwerth Musikinstrumente GmbH is sponsoring the International Brass Band Summer School 2007, Swansea, UK. The German manufacturer of York brass instruments is sponsoring David Childs' and Richard Marshalls' appearance during the IBBSS. Both musicians are playing York brass instruments exclusively: David Childs the York Eminence euphonium and Richard Marshall the York Eminence cornet. Artistic Directors Robert and Nicholas Childs commented: "We are delighted to welcome York with our other Partners. Candidates are travelling throughout the UK, Scandinavia, America, Switzerland and Japan and this years’ course will feature Rodney Newtons World Premiere march especially written for the 2007 course. During the IBBSS course there will be two bands and in recognition of Schreiber & Keilwerth Musikinstrumente GmbH contribution, they will be called the Eminence and Preference Bands." Sales & Marketing Director Andreas Gafke said: "Our ongoing commitment to music education has long been recognised by musicians and educators everywhere. We are very glad to have been given the opportunity to support the IBBSS, which plays an important role in the musical education of young brass players."